Tibetan Community of New York and New Jersey Facebook page. [[ It’s a little complicated and time-consuming to do that. [[ and we’ll just delete it from this one. Below are some remarks on Penpa Tsering posted during election last year. And am I right! Am I right! [Irrespective of how much headway Penpa Tsering gained in the finals vis-à-vis the preliminary election, PT lost to LS by 9,153 votes in the finals. 3.Even if Penpa Tsering wins Sikyong post in the future, he will never have the satisfaction to have won over LS. In deleting the 2 comments that you put out of context, you have shown that you possess at least some semblance, may be a drop, of decency left in you. But mark my word. You are supporting the wrong person. I listened to Penpa Tsering’s talks in the parliament and thought him quite uneducated, pompous and arrogant. And then I saw him bullying Karma Choephen la. I started disliking Penpa Tsering. I heard him openly bullying Lukar Jam during the election. That was when I stared hating him. Lobsang Wangyal, from your various posts, I have strong reasons to believe that you are MWA supporter. You are on the wrong side of the ideology. And within the MWA camp, you have the wrong candidate. Penpa Tsering is a loser. Also, he is no “Sikyong material”. He is lucky that he ever got to be a Tsoktso. He is at best a domestic figure, best suited for a rural position in one of the shichaks. He should have limited himself to India, and that too in Dharamsala or the shichaks. But he takes on an international position despite lack of international exposure. What else can you expect? The result is a resounding fall from grace. That is the sort of person you are supporting. He is a loser through and through. His won mental demon has lead to his downfall. Tsering Choedon la, you said it and I agree with your comments. The below two of my comments were taken out of context. Please either delete them or upload the full content with the link to the article on Tibet.net. [[ Hi Tsering, sorry — deleting/moving comments is a bit complicated because it’s all in a database. We’ve got our hands full here keeping the website going! With fast-changing news sometimes comments do become inapplicable quickly — that’s just how it goes. [[ Anyway, do thank you for your welcome activity in the comments! You can always submit a letter to editor for publication if you want to clarify your thoughts more extensively. I have serious concern about the Kashag’s “bare it all” approach in clarifying Penpa Tsering’s dismissal. China will read it too. They will now know what Office of Tibet does in DC. They will also know that our relation with the current Trump administration is weak at best. Meaning, China can ignore us further knowing fully well that the free world (=US) has almost”forsaken” our cause. New, full, transparent explanation by Kashag on dismissal of Penpa Tsering [has been issued]. I think PT’s days in public office are over. It is history now. I congratulate both Mr Penpa Tsering and Mr Ngodup Tsering and wish them well. I respect Kashag’s decision to remain silent. I also respect public’s right to stage peaceful demonstration or whatever non-violent activities they wish to engage in that are legally allowed in a democratic set up to seek answers. Welcome to democracy! Show the world and China that how our precious Tibetan democracy in exile works. Tossing out the alcoholic penpa tsering is Lobsang sangay’s biggest achievement. I can’t wait for Ngodup Tsering la to take his post. Penpa tsering’s english is so bad, especially his Indian accent, that Americans can’t understand him. Kundun is aware of Penpa Tsering La’s dismissal from Ari Dhonchoe position and gave HIS blessings to the New Ari Dhonchoe- Ngodup Tsering la. So, those crying foul and calling for demonstration against Kashag may actually be demonstrating against a decision that has Kundun’s blessing. I would be very careful if I were them. Dawa Rinchen la, don’t act like Chota Kim Jong,. You are local representative and should listen to people’s problem and act as their representative. You are not elected by Kashag but by the local Tibetans in Dharamsala. Let people exercise their democratic rights in a peaceful manner. Dr. Lobsang Sangay made an excellent decision to fire Penpa Tsering from his present job if it is helpful to the Tibetan cause. But I think its all politics of Gadhen Phodrang’s sycophants. Actually, everybody knows Penpa Tsering’s biography and he has exploited many of his friends, CTA and innocent Tibetans through out his long tenure of duty in CTA and other Tibetan Community. He is an alcoholic and womaniser as we speak truth. Those who are supporters of Penpa Tsering have the same attitude and philosophy. One question. Does the constitution of exile govt give the power to sikyong to transfer officials of the tibetan govt without giving any explanation? If yes than why are we complaining about the transfer? Complain about the constitution. Once we agree upon a constitution we have to follow it in letter and spirit. We all can judge lobsang sangay on his overall performance and his contribution during his tenure. Lets act responsible and like a mature democracy please. No one is above the law including Sikyong Sangay. In a democracy, Sikyong has both power and public accountability for the exercise of his power. The basis of people’s complaint lies in the fact that PT’s “overall performance and his contribution during his tenure” as Ari Dhoncho was not fairly assessed against other competing reasons of past election grudges, and PT’s whistleblower role in the alleged cover up of 1.5 million loan by Sikyong and Kaydor Aukatsang for re-election campaign purposes and that Kusho Dhonden’s scandal involving more controversial people like RFA’s Kalden Lodoe and Gaden Phodrang’s Tseten Samdup Chokyappa. All should learn to act responsibly and not misuse His Holiness anymore with photos, videos and alleged endorsements. The main reason behind the termination Penpa Tsering La is former Dalai Lama’s personal emissary Lama Tenzin Dhonden la. He is former secretary of trust in US. He has been over Corruptions. A court case has been filed against him in New York. That’s the main reason, because refused to support Lama Tenzin Dhonden la. Next court hearing is in December. So he was removed from Ari Dhoche before the next hearing. Please understand my Tibetan Brothers and sisters, don’t fight each other and understand the situation. If lama Tenzin Dhonden Lost the case then we Tibetans have a very bad reputation around the world. That’s why Penpa Tsering La is Quite. If ven Tenzin Dhonden is a corrupt person why any body should support him. We can not support any corrupt person specially a monk, who has taken vow to do away with life of lay person, who may be corrupted due to circumstances out of ignorance. Shocking fact – Why all protesters against Lobsang Sangay are Amdowas and U-tsangwas? Why not a single khampa has written or made video against LS? What’s going between Khampas and Penpa Tsering? We can not deny that there is a strong element of regionalism in this issue. It is very obvious. What has the Tibetan world come to? I am fully khampa but I cannot support what our Khampa Sikyong Lobsang Sangay has done. Sorry Lhundup la! Don’t count me in this regionalism game anymore. What crime did Penpa Tsering commit? Were Penpa’s crime as bad as his friend Kaydor Aukatsang? Kaydor has many issues: 1. Dalai Lama photo 2. Shugden demonstration 3. Kalachakra 4. Sikyong voting 5. US 1.5 million dollar. How many warnings did Kaydor get after all these failures. Penpa already got 3 warnings? Let Lobsang Sangay explain how Penpa’s actions were worse than Kaydor. Then he can clear the doubt that his removing Penpa Tsering is not personal revenge. Or else Sikyong is not fair. Penpa Tsering has worked in Gangkyi in some of the highest posts of CTA for the last 20 years, and as the Director of TPPRC in Delhi for many years. Do you think that he is foolish enough to make such grave mistakes that would lead to his ouster? Sikyong Lobsang Sangay is known for settling grudges. We know that the dust from the elections last year has not yet settled properly. It’s obviously a grudge fight by LS, whatever name he give to the issue. Now there is a call for public demonstration in front of Kashag. It will be the first of it’s kind. This will shame LS, Kashag, dishearten HHDL and the Tibetans in Tibet. Kashag now knows that there will be a demonstration on the 27th. Ball is now in Kashag’s hand to clarify the issue before the situation goes out of hand. It will be none other than LS who will be responsible for the dirty scene and the division of the exile Tibetan community, and misplacing the Free Tibet in the translation. 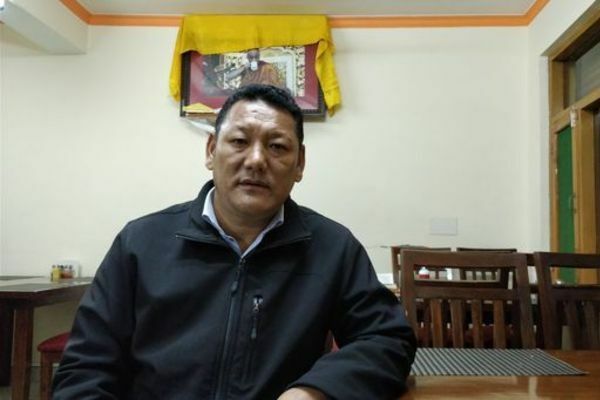 People please don’t heed to call on Protest on 27th, Kashag will be making more clarification when Sikyong will return to Dharamsala, so till then please do [not] take part in protest. When His Holiness is alive, we are indulging in many negative actions that is creating cracks in our history, give thoughts what will be the situation when His Holiness will not here. His Holiness on many times told that how many years He will stay depends on us. So appeal to everyone to calm down and don’t get carried away. There is somebody playing dangerous game in exiled politics and I will not be surprised if there is any foreign hand conniving with local power base. Please don’t drag His Holiness in this controversy and this kind of unsubstantiated allegations are totally unacceptable to all Tibetans. Tibetan people have real reason to be suspicious of this unexpected termination of Penpa Tsering from his office and this seems to be handiwork of LS who now appeared to be extremely vengeful towards people who disagrees with him. However, I fully disagree with mass demonstration and boycotting of major events in the United States as it would send very wrong message to Free Tibet campaigners. Some of us seems to be playing in the hands of foreign power and this is going to harm our national interest. Very, well said and to me transparency is the key for no more trouble and confusion among the mass. The Kashag has to tell the truth behind ousting of PT from the post of Rep of His Holiness in Ari. As in one of the address from LS in Europe recently he said that Kashag has the every right to appoint or oust anyone from the post and there is no need for clarification. Seems like he has forgotten how he has come to the post of Sikyong. It’s the people who have appointed him to the post and so being the servant of people, one got to make the truth known to the master. So kashag has huge responsibility to be transparency and don’t leave people in the darkness. The title of the job is “Representative of HH The Dalai Lama and CTA”. CTA appointed PT to the post under the direction of the Dalai Lama/Gadhen Phodrang. It is only logical that CTA will need Gadhen Phodrang’s approval to dismiss PT from the post. Kashag will not dare to take such a decision without consulting Gadhen Phodrang. Thus, Samdhong Rinpoche and Kundun must have approved PT’s dismissal from his job. So, a demonstration against CTA by PT and his followers amounts to demonstrating against the Dalai Lama. I hope the people who are participating in the demonstration realize the gravity of their actions. The Titan (Penpa Tsering) of the Middle Way Approach unceremoniously fired from his job by his own beloved Middle Way Approach government. And a greater irony still- The Titan of the Middle Way Approach instigating the mass to demonstrate against Middle Way Approach Government, and ultimately the Dalai Lama! In the end it is all about personal gains as is so evident from this incident! I don’t think we have a Tibetan in Sri Lanka. But its fine to be noted as located in Sri Lanka. The matter is Sikyong Office failed to provide credible reason for ousting Penpa Tsering. “It was not good reason that pave way for Penpa Tsering’s ouster”. Penpa Tsering says he didn’t do anything wrong. People are baffled. Sikyong supporters are acting they are thrilled to learn the news of Penpa’s ouster. Penpa’s supporters are very angry at the news of his ouster. The truth lies between Penpa Tsering and Lobsang Sangay. If these two leaders do not come out clean. This year would be worst year for us as the two second generation leaders are doing nothing good to unite us, but brings cracks in unity. There is something called an IP address. The webmaster of this site will know if I am in Sri Lanka or not. If you are curious, why don’t you ask? I am not sure if this is really a fight between LS and PT. How can anyone be so highhanded with Samdhong -Chela Penpa Tsering without fearing any backlash from Samdhong Rinpoche? I think people higher than LS is pulling the strings in this case. I agree with you that the 2 mighty 2nd generation politicians are cracking up the society. That is because they don’t have a core principle to unite the people. Both use Kundun’s name for their own aggrandizement and to legitimize their position. They have nothing to offer to the people. It’s true the Kashag can hire and fire but after stating that three warnings had been given for dereliction of duty it is against norms to not to substantiate the charges. It is also an unseemly dodge employed by some Tibetan officials to condemn all critics as hurting the sacred Tibetan cause and HH the Dalai Lama when people don’t behave slavishly. Normal politicians don’t wash their underwear in public but transfer or promote problem VIP s. Once a charge is made of dereliction duty it is put up or shut up time under civilized standards. Sikyong Lobsang Sangay, as the elected political leader, has every right to terminate the service of Penpa Tsering’s tenure as US Rep of His Holiness. However, it must also be noted that the gravity of “the dereliction of duty” charged against Penpa Tsering must be equal or more serious than the dereliction of duty committed by Kaydor Aukatsang. Charges against Kaydor include removing His Holiness’ photo in DC office, slackening security for His Holiness during Shugden demonstration, 1.5 million financial issue, misusing office of His Holiness to campaign for Sikyong LS that resulted in a warning letter from Tibetan Election Commission, and many others that were hotly debated in the parliament. If Penpa Tsering’s unknown charges are not as serious, then Kashag has two different standards for two different people-Penpa, the rival, and Kaydor, Sikyong’s best friend. i don’t know you, but you have the strongest point. I think Tibetans are widening their horizon of democratic system of administration, whether it’s good or bad impression. And settlement official Dawa Rinchen’s appeal to the public is silly and obsolete. This is all Gadhen Phodrang’s trick played to the blind obedient Tibetans. Kashag, headed by Dr Lobsang Sangay, will never specify the actual guilt of Penpa Tsering. P. Tsering knows that he is a valuable asset to Gadhen Phodrang. This is not dereliction of duty but it is another whisky bottle to the Tibetan people to promote their power. There is no use of bickering among stigmatized blind faith obedience themselves. Without giving any concrete reason, Kashag can not take such a drastic action by removing a patriotic and long serving and supporter of the Tibetan people and currently serving Tibetan representative of HH the Dalai Lama and people of Tibet from his post. It is not like a transfer from one post to another but suspension from his post.